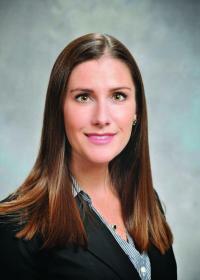 A new podiatrist, Dr. Julie Riley, has joined the staff at Carney Hospital. She is now accepting new patients at the hospital’s Center for Orthopedics and Joint Replacement on Dorchester Avenue. Riley completed her residency at St. Elizabeth’s Medical Center in Brighton, and earned her medical degree at Midwestern University in Glendale, Arizona.